URGENT PETITION: America&apos;s Vice President Mike Pence believes in forcing LGBT children to undergo electroshock therapy to "cure" them. "Conversion therapy" is widely discredited. Experts consider it psychologically dangerous because it has been PROVEN to lead to depression, anxiety, substance abuse, and even suicide. But homophobes like Mike Pence don&apos;t care about protecting LGBT children. They only care about advancing their backwards beliefs. Together, we can DEFEAT Pence&apos;s dangerous, bigoted agenda. 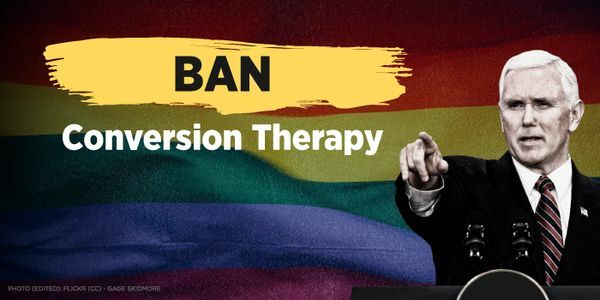 LGBT Democrats need 25,OOO strong supporters to sign our urgent petition to STOP Mike Pence and BAN conversion therapy.